Key dates throughout the year create an opportunity for centres to play an integral part of their communities and also work closely with tenants who will have the gifts, fashions, products and promotions that reflect these occasions. Messages PR are ready to capitalise on these days - whether classic festivities like Mother's Day and Easter or big sporting events and national celebrations. 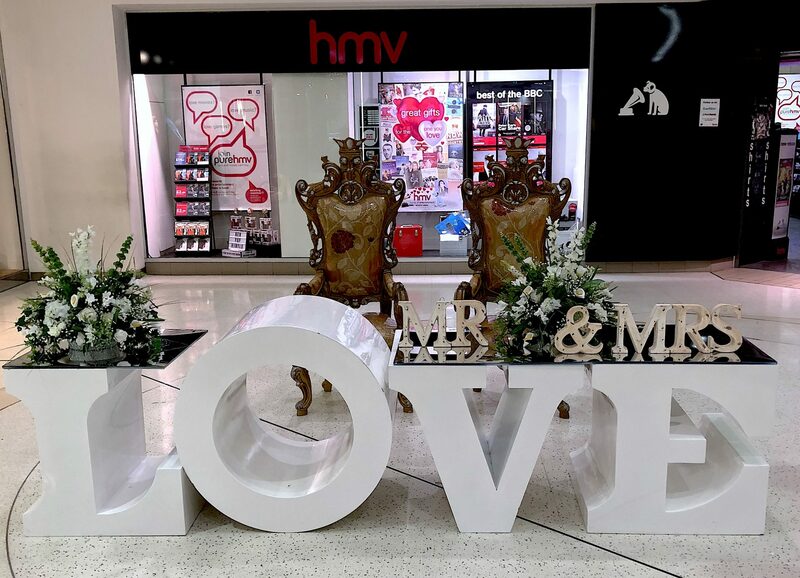 When Valentine's Day occurred in a leap year, we encouraged ladies to propose to their loved ones live in The Ashley Shopping Centre, Epsom. To provide an entertaining sense of surprise, we created an elaborate ruse whereby partners imagined they were participating in a light hearted 'Mr & Mrs' style game show, complete with quiz master, prizes and a choir. The event generated strong participation from over half the retailers, an interactive social media reaction and a genuinely 'engaging' promotion for the Valentine's Day gifting season. Easter spending in 2018 reached £1.2 billion; an increase on previous years with 88% of Brits planning to celebrate the Easter weekend. With the Easter holiday coinciding with a two week school break, Messages PR create holiday activities which both entertain families and promote products. 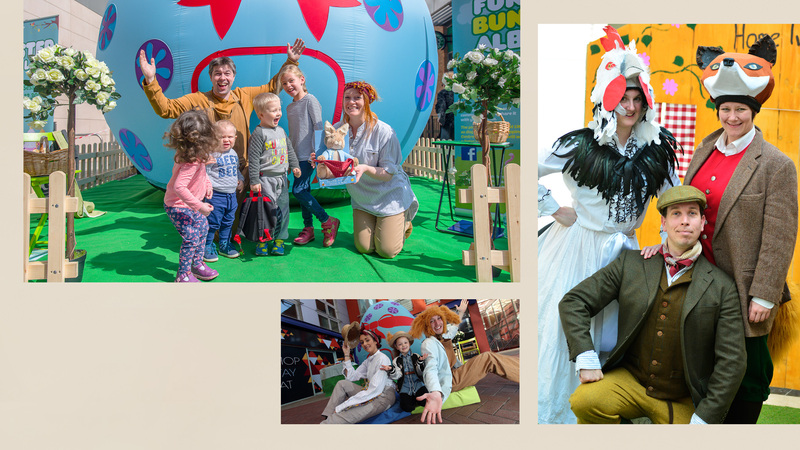 Over the last 3 years, we have toured a live Old MacDonald Farm Show and a giant 14ft inflatable Easter egg which children can climb inside for storytime sessions delivered by professional actors. Live events are supported by online activity and in 2018 we linked with the Peter Rabbit movie for a Facebook competition across 20 centres, with a reach of 199,747 and enjoyed video views of 96,185 Facebook followers. Father's Day is an ideal vehicle to promote men's fashion, grooming, fragrances and cards. 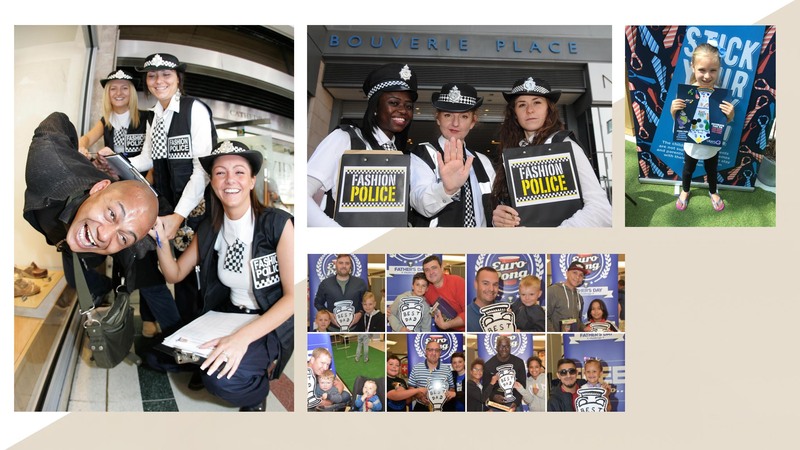 The Fashion Police event sought out dowdy dads and created a lighthearted gallery of style shaming mugshots. We then used this mechanic to work closely with our retailers in a makeover of the father whose image generated the most votes on Facebook. As well as proving extremely viral on social media, the before and after photos had terrific traction in print media, with an average AVE press coverage of £3,013 in each of the 7 centres where the promotion ran. Halloween sits significantly around the Autumn half term holiday and in a vital pre-Christmas spending window. The keynote of Messages PR activities is participation, circulation and originality. 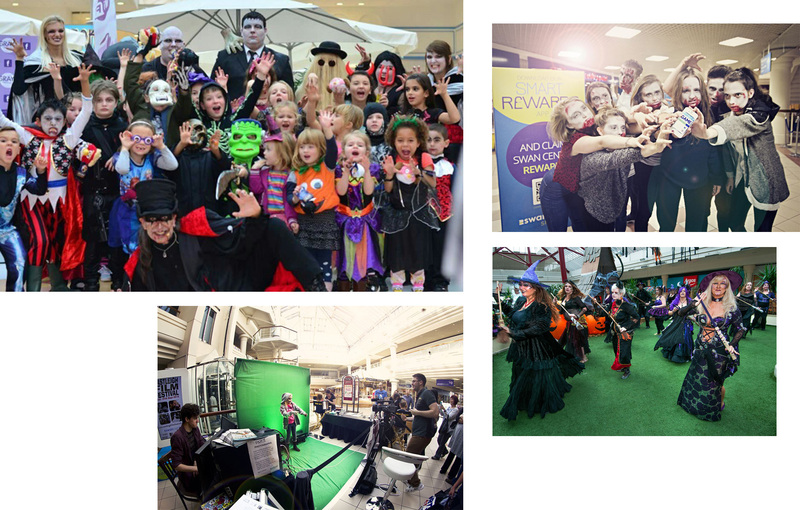 Over the years, we have highlighted themes of zombies, day of the dead, vampires and ghosts and in 2017 we organised halloween parties in 17 cafes and restaurants. Plans for 2018 include a live remake of 'Ghostbusters' and slime workshops. For the last three years, we have distributed carving kits, accessories and pumpkins, encouraging stores to sculpt these in the style of their business. This has stimulated a creative flair and competitive spirit amongst the stores that has surprised and delighted shoppers viewing both in store and on online galleries. Experience has demonstrated that the British are a particulary patriotic nation of shoppers. Where we are able to anticipate Jubilees, birthdays and weddings, related activity has always rewarded Centres with increased visits, a high level of participation and a guaranteed feelgood factor. 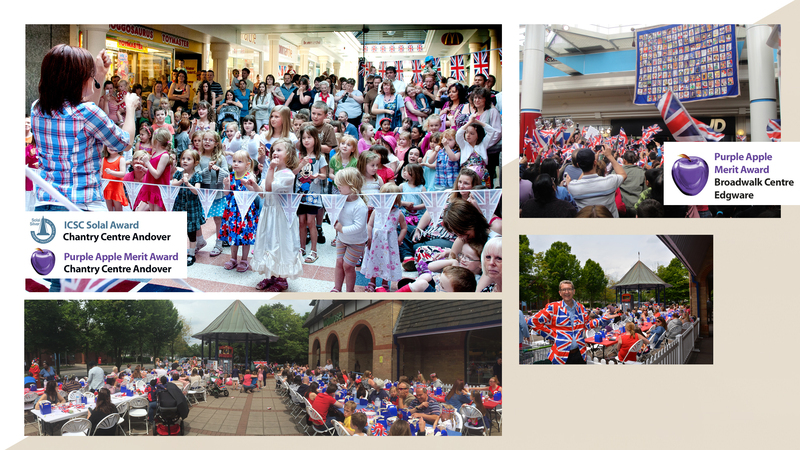 In the last 5 years, we have organised bunting and flag making workshops for the Diamond Jubilee, a massive street party for the Queen's 90th birthday, a royal wedding hat competition for the marriage of Harry and Meghan and in-centre screenings of ceremonial events. Increasingly, the nations enthusiasm for major sporting events has been matched by a desire to engage with the highlights through related merchandise and live screenings. 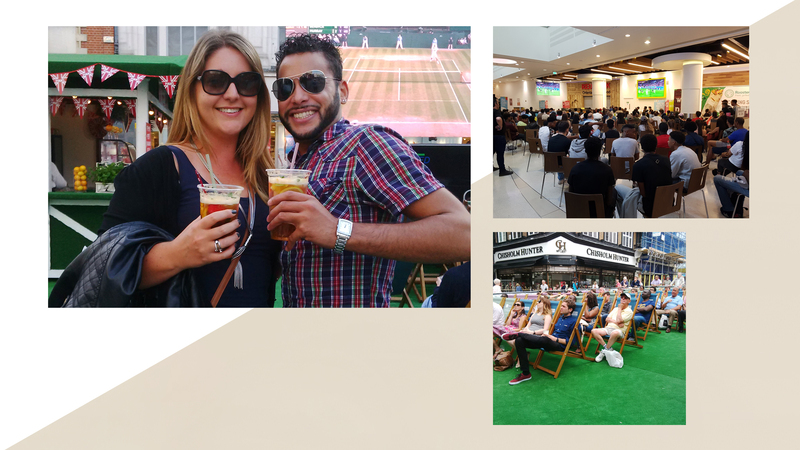 Our activities include live Wimbledon screenings for the Bromley BID, World Cup 2018 screenings in Birmingham and Leeds and speed cage goal shoot outs, keepy-uppy challenges and Formula 1 simulators. Florence always looks for the holiday crafts and you didn’t disappoint. 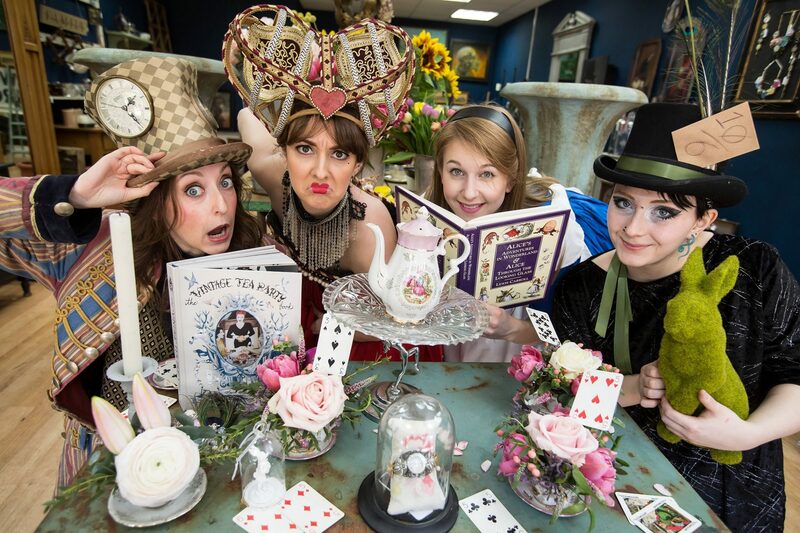 Very creative, relaxed atmosphere, Kids loved it you should do this more often.